The distributor of 5-Hour Energy, Living Essentials of Farmington Hills, Mich., did not respond to written questions about the filings, and its top executive declined to be interviewed. Living Essentials is a unit of the product's producer, Innovation Ventures. However, in a statement, Living Essentials said the product was safe when used as directed and that it was "unaware of any deaths proven to be caused by the consumption of 5-Hour Energy." In an interview Wednesday, Daniel Fabricant, the director of the agency's division of dietary supplement programs, said the agency was looking into the death reports that cited 5-Hour Energy. He said that while medical information in such reports could rule out a link with the product, other reports could contain insufficient information to determine what role, if any, a supplement might have played. "I am not interested in making any comment," Mr. Bhargava said. Subsequently, the company issued a statement that said, among other things, that it took "reports of any potential adverse event tied to our products very seriously," adding that the company complied "with all of our reporting requirements" to the F.D.A. 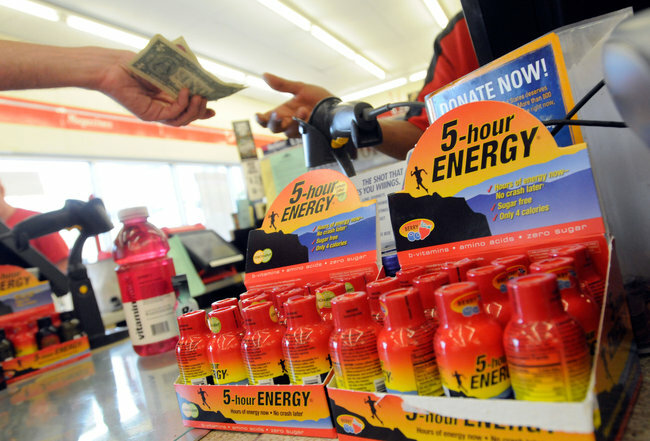 The company also stated that it marketed 5-Hour Energy to "hardworking adults who need an extra boost of energy." The product's label recommends that it not be used by woman who are pregnant or by children under 12 years of age. Representatives for two of those companies - Red Bull and Coca-Cola, which sells NOS and Full Throttle - said they were unaware of any such reports. A representative for PepsiCo, which makes Amp, also said it was unaware of any such reports.